It was definitely a good weekend in Chicago for music. I felt lucky to be treated to both Bob Dylan and Phish back to back on a warm, summery weekend. 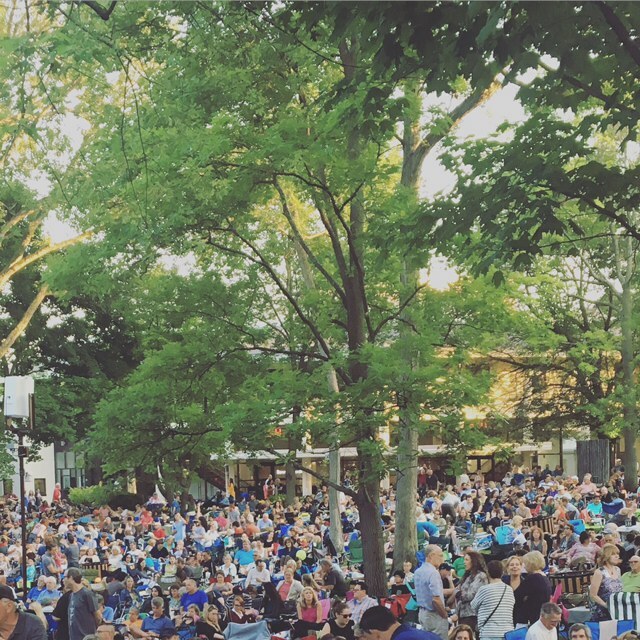 Friday we started in suburban Highland Park at the beautiful Ravinia to listen to legendary Bob Dylan. The picnic and friendly atmosphere was close to perfect, but sadly the aging rocker's voice and set list did not impress. Luckily, Mavis Staples brought down the house with classics and enthusiasm. 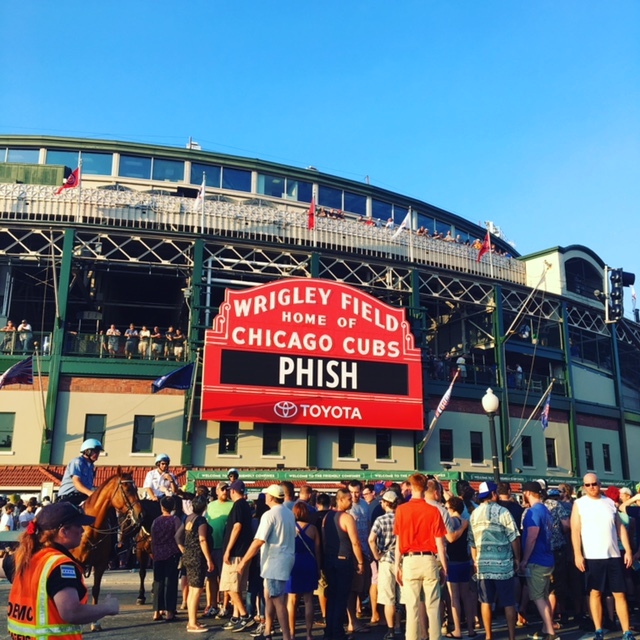 Our commute was shorter on Saturday allowing us to walk to Wrigley Field to see Phish. It was very nostalgic to listen to the band that my husband and I followed during our college summers 15 years ago. I was worried we would feel old, but was surprised the crowd didn't seem as young as I anticipated. Age didn't seem to affect the band that played favorites, jumped and even rocked out on the vacuum as they've been doing for years. These summer concerts definitely make up for the crappy Chicago winters we endure. Are you planning to see any music this summer? You may also enjoy reading: Grateful Dead celebrates 50 years in Chicago. Make sure you Like Ups and Downs of a Yoga Mom on Facebook, Twitter, Pinterest and Instagram or type your email address in the box below and click the "create subscription" button. My list is completely spam free, and you can opt out at any time.